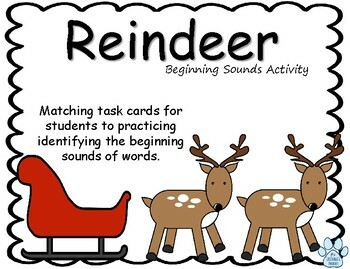 Students will match up sleds and reindeer by the beginning sounds of pictures! 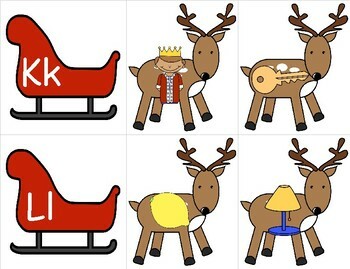 Each letter of the alphabet is represented by a sled. 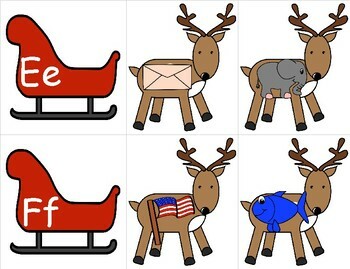 The sled contains the letter to focus on...the reindeer contain pictures that begin with the letter on the sled. Each letter has two reindeer to match. All of the vowel sleds focus on the short vowel sounds only.